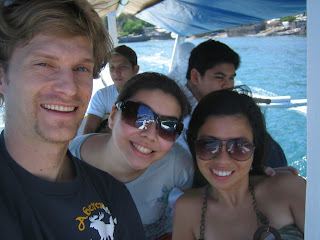 This saturday we went for a day-trip of diving, again to the same place as before Dive and Trek in Batangas. We had to deal with a falling coconut tree blocking the way. The highlight was going to a small cave / tunnel aka "The bat cave" where we looked at the various creatures inside before swiming through it. My tank bumped a little on the upper wall as it was a narrow exit. 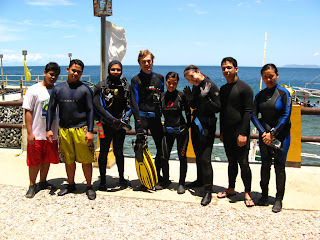 I had some snot in my sinuses (bihuler) and on the second and third dive this was really painful as the dives started.